You are here: Home Forum Home The 80's New Wave I'm First! I'm First! TOPIC:	I'm First! I'm First! 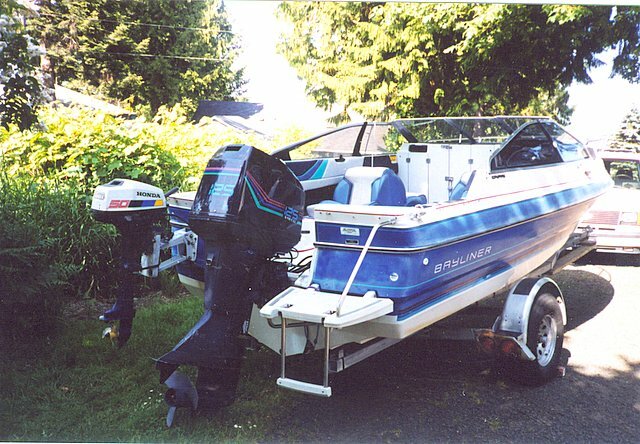 Here's my wife's 1988 Formula 223 SS and a 1988 Sea Ray I just traded for a 1995 Jaguar XJS and some funny money. Both are pretty decent boats but I hate the layout of the Sea Ray...but I love the Jaguar! It will help create the illusion of wealth and class. Always did like the Formula hulls better than the Sea Ray's, that's just me though. 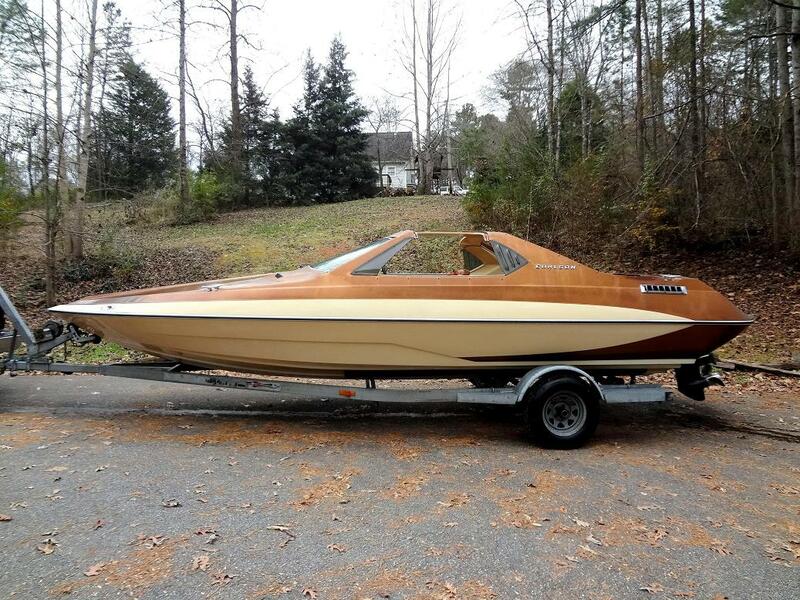 Here's a 1981 Glastron Scimitar that I owned for awhile. I sold it a couple years ago. It needed a lot of work and it was just too "New Wave" for me. This second one is a 1988 Stingray that I ran last summer. The sun had baked everything: clearcoat peeling everywhere, seats all cracked and faded, floor and stringers shot, carpet torn. It was a wreck but it ran like a raped ape with that big block. I called it my trash boat. It needed zero cosmetic upkeep since it was "pre-distressed." 1980's boats like this can be had cheap if you look around. I paid $2,200 for it, trailer and all. I bought the Formula with a seized engine for $2,500, no trailer. Last fall, I pulled the big block and Bravo I outdrive from the Stingray and dropped them into the Formula. After I salvaged everything worth keeping from the Stingray, including about 40 gallons of gas, I junked it and put the trailer under the Formula. That leaves me with just about all the spare outdrive parts I'll ever need and an extra SS prop. I also happen to have a high compression 454 long block with Summit Racing square port heads and roller rockers. All it needs is a rod bearing. The seized 454 from the Formula is loaded with all the marine parts I'd need. 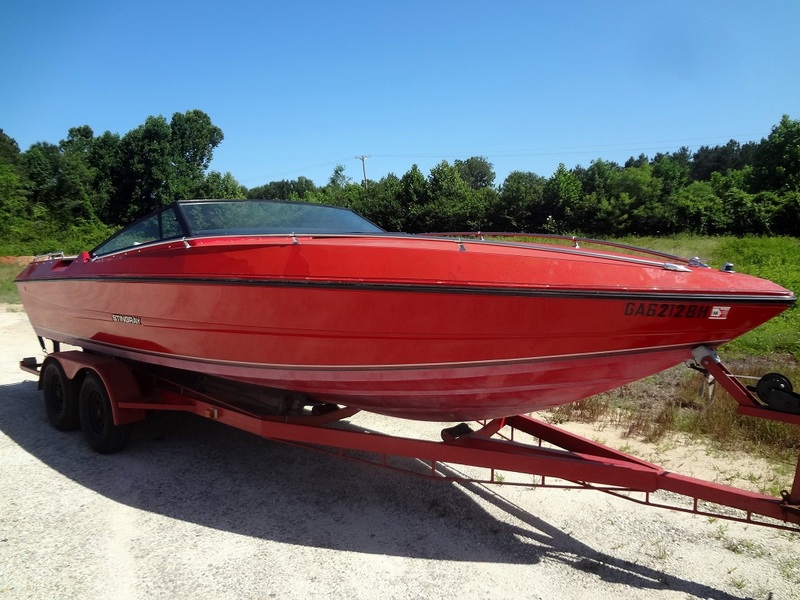 I own a 1969 Ski Nautique without an engine, the old exhaust headers from Miss America IX and a primo vintage McCulloch supercharger. HMMMM....there might be an aquatic rat rod in my future. I could name it "AARP's Revenge"
Bash the Bayliners (and Force) all ya want as its the OWNER that maintains the boat. But my 88 Capri running salt 27 YEARS now with little problems. Real do it ALL boat and solid and runs like new. 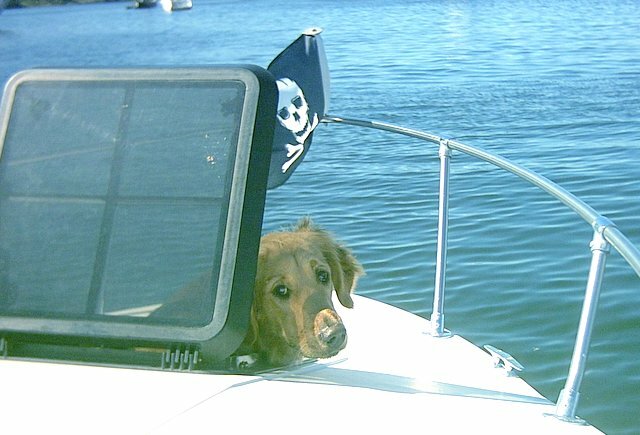 Plus its the dogs boat! I tend to buy all the really, really cheap Bayliners that I can find IF they have good mechanical parts. Stripped of salable parts, Bayliner hulls make good "structure" for artificial reefs. 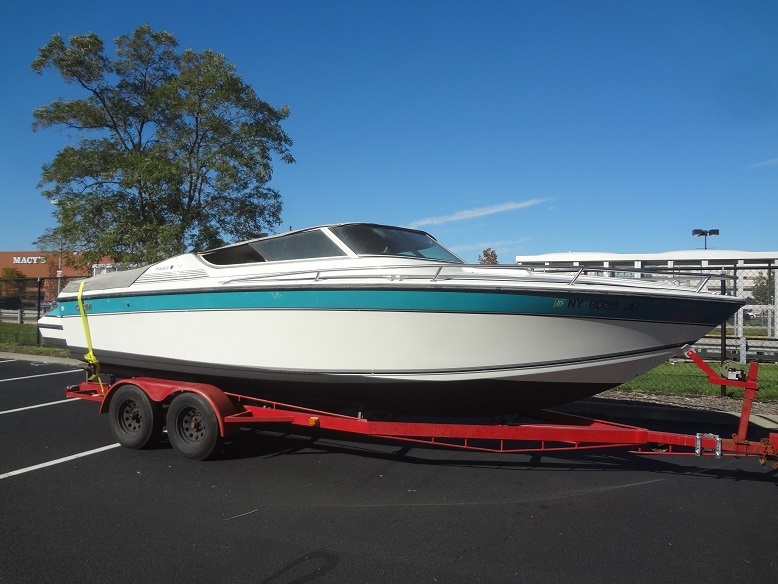 Actually, I'm going to an auction tomorrow to try to win a 1988 Bayliner Seville with a 4.3 V6 Mercruiser/Alpha One. 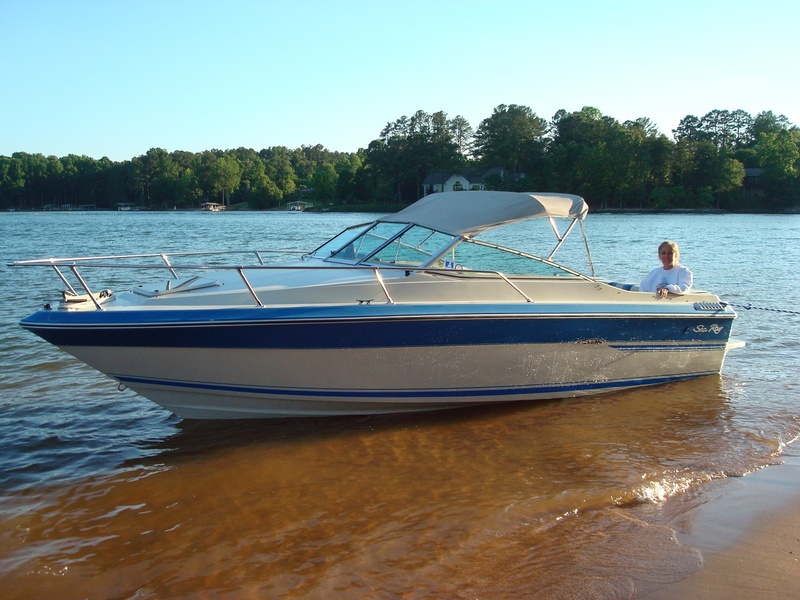 The boat looks really beat (deep scratches, floor soft, upholstery shot, etc.) but the trailer is decent and the engine is free-turning with clean oil. I'm going to go as high as $600 to try to get the driveline. Anybody who thinks it's worth more can have it.